Sign up for free and just shop with Beagle Street Life Insurance as normal. Our members earned £30,000+ at Beagle Street Life Insurance in the past month. To be eligible for the cashback offer, the quote has to be started and completed solely on TopCashback. 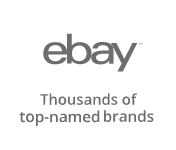 Any quote obtained through a price comparison site and then completed through TopCashback will not be eligible for the cashback offer. You will also not be eligible if you have previously been a customer with Budget Life Insurance, FiftyLife Insurance or Virgin Money Life in the last two years and have received an incentive. This is due to these brands all being arranged and administered by BISL Limited and BGL Direct Life Limited. You will not be eligible if you have previously been a customer of Beagle Street Life Insurance in the last two years and have received an incentive. Cashback is only payable via BACS. Beagle Street Life Insurance cashback can be earned simply by clicking through to the merchant and shopping as normal. Beagle Street Life Insurance Cashback is available through TopCashback on genuine, tracked transactions completed immediately and wholly online. By receiving this incentive, you will not be eligible for any other offers from Beagle Street. By using cashback, you will not be eligible for any other offers from Beagle Street Life Insurance. You will only receive cashback on the first policy that qualifies. This includes any policies purchased through Beagle Street, Budget Life Insurance, FiftyLife Insurance or Virgin Money Life. Your policy will need to have had six monthly payments made and live for a minimum of six months in order for your cashback to be valid. Once this time period has passed, your cashback should be processed and it will be received within 4-10 weeks. Unless otherwise stated expect transactions for TopCashback to appear within 24 hours. Your transaction will initially track at Zero and uplift upon validation. The vast majority of transactions from merchants track successfully, occasionally a transaction may not get reported. If you believe this to be the case, please submit a "Missing Cashback" query after 6 months of the transaction, but within 100 days of the 6 month anniversary of the policy start date, we will be unable to chase up claims older than this. Your policy needs to be live for six months with all six Direct Debit payments made and live for six months. Your cashback will then be processed within 4 – 10 weeks. Please note: To be eligible for the cashback offer, the quote has to be started and completed solely on TopCashback Any quote obtained through a price comparison site and then completed through TopCashback will not be eligible for the cashback. Provide your loved ones with financial security and get a little back now when you buy Beagle Street life insurance thanks to our fantastic cashback deals. Beagle Street are a dedicated life insurance specialist who are backed by the security of the Scottish Friendly Assurance Society. Established in 2012 to shorten the process of buying life insurance, they are part of the BGL Group, which is a privately owned UK company that serves more than eight million customers. 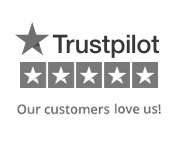 Beagle Street make it easy to work out what you need and how much cover is right for you thanks to their calculator and trust tools, while you can visit their website for a personal quote and get cover in as little as 10 minutes. Their aim is to make purchasing life insurance a less scary and confusing experience, and offer straightforward cover which is as affordable as it can be. As well as providing you with hints and tips on how to get a cheaper life insurance policy, you will find various useful guides, in-depth frequently asked questions and a jargon buster. You might also find your policy comes with additional benefits, such as free accidental death benefit. 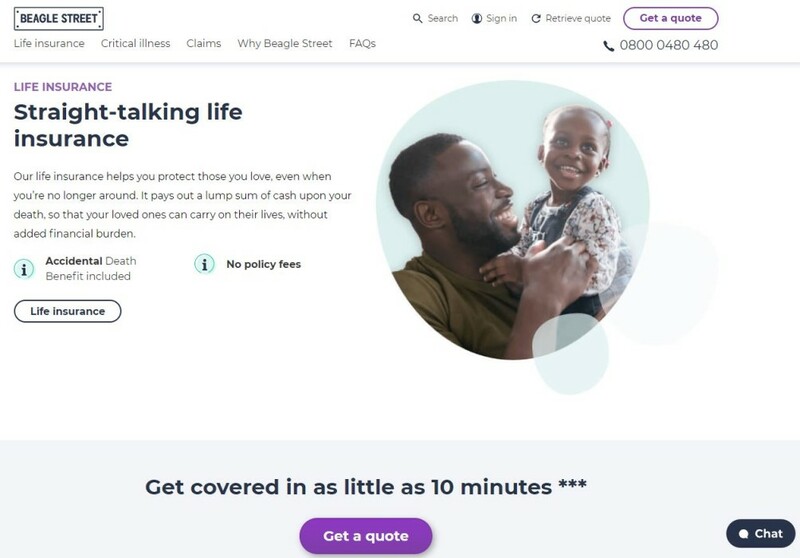 Other benefits include the fact that Beagle Street actively search official records and provide every new joint life policy customer with a free will writing service, while they also make claiming easy for your loved ones. Life insurance can provide family reassurance for whatever the future might hold. When you die, a life insurance payout could cover your funeral costs or help your loved ones do things like buy a house, while it could provide a partner with financial security. Critical illness, meanwhile, will pay out if you are diagnosed with one of the included conditions. Should you become too ill to work or if you are faced with additional costs due to a life change, it can financially support your family. Beagle Street offer a maximum cover limit of £750,000 if you die or become critically ill and you can buy cover any time between your 18th and 65th birthday. Get between five and 40 years of cover for your family (or until you are 70) and they offer an online medical for a quick and simple quote, while claims are approved in days. You can use their cover calculator to find out what level is right for you to protect your loved ones and your home. Life insurance provides your loved ones with a financial payout if you die during the policy term. You can choose the duration of the policy term when you make an application, and a claim can be made if you pass away before the policy ends. You can set the amount it will pay out, while the monthly premiums will be fixed whether you choose a level or decreasing policy - the differences between which are explained below. The cost of life insurance for younger people is significantly less and you could get £100,000 of cover for as little as £3 a month (decreasing term cover for nine years based on an 18-year-old non-smoker). Term life insurance policies become increasingly more expensive as you get older, meaning it is good to lock in a lower price while you are young as once the policy has been set up, the monthly payments never increase during the term. There are two main types of life insurance cover and you can choose from decreasing term (also known as mortgage term) or level term policies, which you can have as a single or joint policy. In addition to life insurance, you can also take out critical illness cover. Which policy you choose may depend on your current situation, you future plans, the amount of cover you need and your budget. Basically, level term insurance allows you to fix your cover amount over a set policy term. Should you die during this term, your family would receive a payout to this value. Decreasing term insurance differs as your cover will fall in line with your mortgage, meaning your family will receive a lower payout than the initial cover amount. As a result, one of the benefits of a decreasing term policy is that the premiums are at a lower level than those for level term cover. Should you need cover for two lives, you can either go for two single policies or a joint one. Having two single policies will mean there are two payouts, while with a joint policy, there will be a single payout upon the death of the first policyholder. After this initial claim, the joint policy will cease. Whichever cover you choose, you can earn yourself some cashback by filling out the form at the bottom of this page. If you have critical illness cover, it means you can make a claim upon diagnosis of one of the covered critical illnesses which impacts your health. Payouts can be claimed by the policyholder, meaning they can be used to help you and your loved ones right away. Beagle Street's critical illness cover acts as additional protection and can only be added to life insurance. You can set the cover which is right for you, while the lump sum payout can help cover additional expenses such as medical appointments, equipment or a carer. The best thing is you can spend the lump sum however you wish, meaning you can also use it to clear debt or treat the family to a holiday. Some of the critical illnesses covered include cancer, Alzheimer's (before the age of 65), a heart attack, stroke and kidney failure. Beagle Street also offer child critical illness cover, which works in the same way as standard cover but is for your children or any you are planning to have in the future. This can be added to your existing critical illness policy. You can also write your life insurance policy in trust, which is a legal document that allows the policyholder to name the family and friends they want to receive the financial payout when a claim is made. The policyholder can also name trustees, who must be 18 or over, to be responsible for distributing the payout to the beneficiaries. The advantages of having a life insurance policy in trust include the fact you will avoid a potential tax bill if the value of your estate is greater than £325,000. The legal process will be faster, meaning your family and friends will have financial security more quickly, while you get to have a say on who receives the proceeds from your policy. By writing your policy in trust, your life insurance cover may not be classed as part of your estate, which would make it exempt from inheritance tax. This could mean your family and friends receive the full value of the payout. Get your quote in as little as 10 minutes today! Beagle Street is backed by Scottish Friendly Assurance Society, who have over 150 years’ experience.